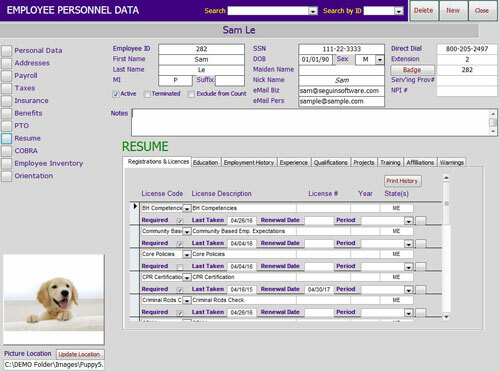 Seguin-HR is Human Resource Management in one user friendly package. Manage benefits, payroll data, notifications, and talent in an easy and flexible interface. Seguin-HR provides unmatched functional abilities. Seguin-HR interfaces with our other products to complete a world class practice management system. Separate Inventory Interface with Phone Numbers for support staff use.